(1) Route confirmation required. 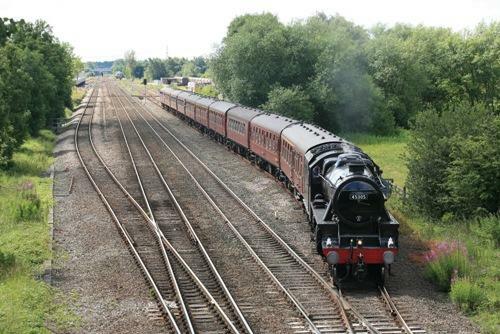 Photographed at South Milford (reported departed from a water stop there early) and Fairburn Ings hauled by 45305. Roger Geach photographed 45305 leaving the water-stop at South Milford.